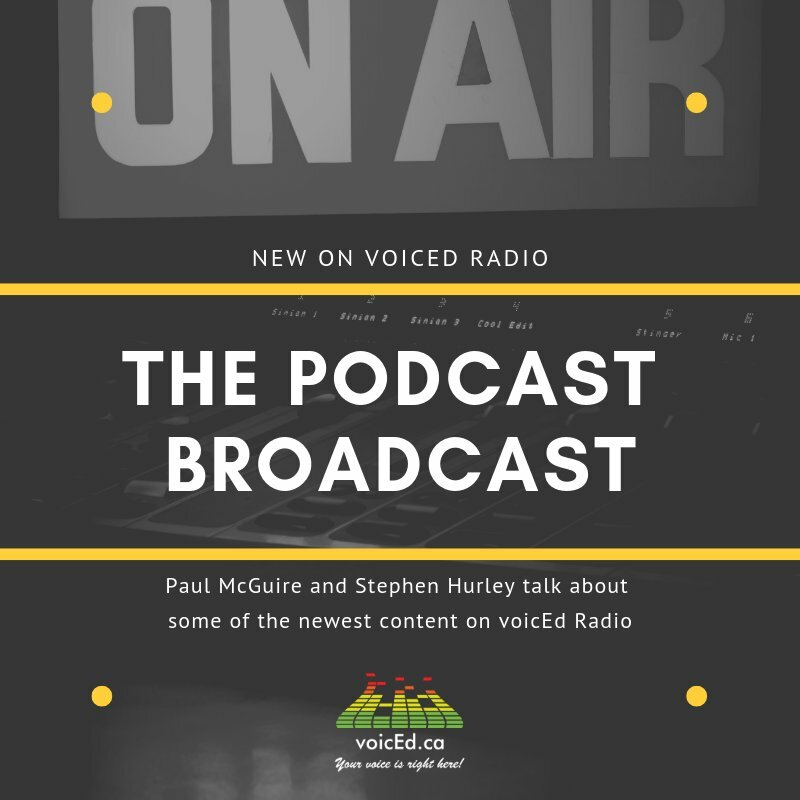 It has been a while since I did one of these posts, but time is available right now, so I am excited to jump right back in with a review of a few new podcasts – all available on VoicEd Radio. There is no real theme this week, just podcasts that I find interesting as I scroll through the new material that gets uploaded daily to our Radio.co site. I will add them all to a playlist that I will put up on VoicEd Radio today – Friday, March 29th. This week, we are starting off with a great student podcast – Books R Us. 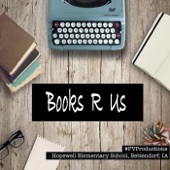 Books R Us is a 6th-grade student podcast featuring new books that others will want to read. These students are from Hopewell Elementary School in Bettendorf, IA and believe in the power of sharing great books with others to help foster A Culture of Readers. Each podcast reviews a new book and features a contest for a book. I don’t know much about this series, but this really animated conversation about books and authors that seems to have been going on for several years. Really well laid out book reviews by these students. No hesitation, full of life and energy! 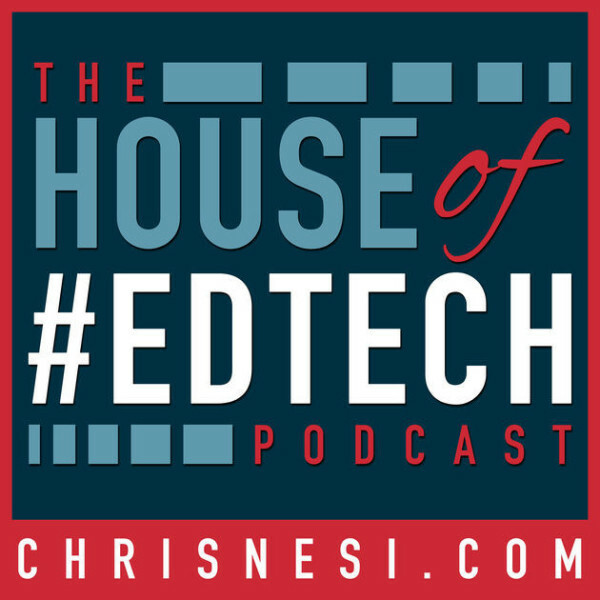 The second podcast I listened to this week is Chris Nesi’s House of Edtech. As always, Chris talks about a number of subjects involving education technology. The segment that drew my attention was about online learning. Certainly, people in Ontario could benefit from listening to this right now. The conclusion of this discussion is important – studies show that students do not do as well in online learning situations. Chris Nesi is a very thoughtful educator and his summary of the findings of this study are worth listening to. The main point that I find important at this time in Ontario are the findings of an academic study on online learning. Basically, students do not like to learn exclusively online and they tend to do poorly. You can listen to the clip here. Nesi includes the article in his show notes here. Though online learning courses have exploded in popularity over the last decade, we found that relative to courses with some degree of face-to-face teaching, students taking online-only courses may experience negative learning outcomes. A few hours of listening produces lots of gems. Next, I listened to Teaching Tales with elementary principal Brent Coley. This is one of those podcasts you can dip into at any point. If it fits any genre, this would be one of those ‘around the staffroom’ conversations, this time between two elementary principals. When I saw the title – Overcoming Fear in the Classroom – I thought they would be discussing students and their fear. I quickly realized that they were discussing teacher fear in the classroom. 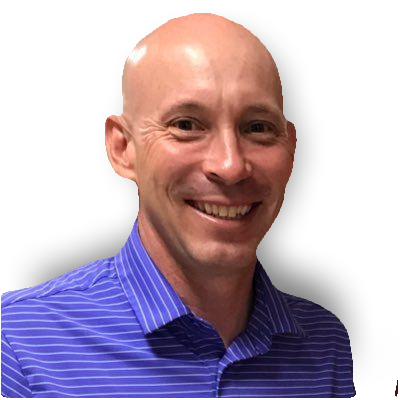 Brent’s guest is Craig Badura – his blog, A Teacher, Coach and Dad can be found here. This is a great free-ranging conversation on how to deal with failure in the classroom. Teachers don’t like to fail no matter what they say about the importance of failure. Risk taking is hard to do, especially when you are in front of a classroom full of kids. What makes all the difference is an understanding administrator who makes the effort to support teachers as they experiment with new ideas. I am convinced that one of the greatest engines for innovation in education would be supportive principals like these two who are clearly all about serving others. Failure is a lot easier if you have people like Brent Coley and Craig Badura working with you. What a great conversation about enabling teachers and kids and getting out of the way. 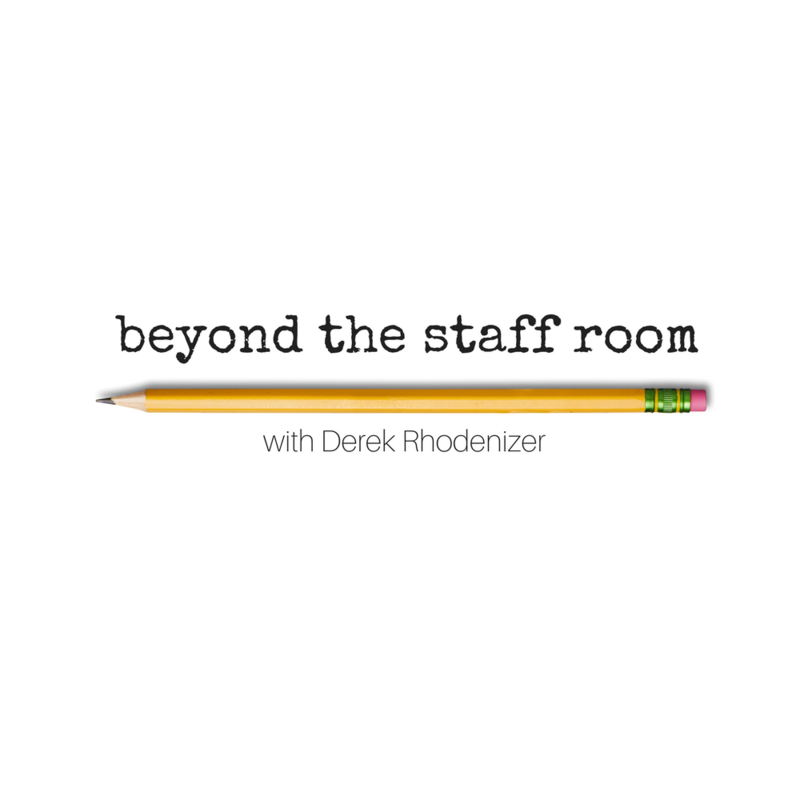 New principals really need to listen to this podcast. Important point – never focus on what went wrong – focus instead on the relationship you are developing with a fellow educator. To make mistakes is a human quality. The next podcast features two of my favourite broadcasters, Derek Rhodenizer and Jon Harper. For this one, Derek is the host, but he mentions that he has already been on Jon’s – I will have to go back and listen to that one for sure. The show is Beyond the Staff Room and it is always great. Again, these podcasts are done by school administrators and I am partial to these being a former administrator. Listening to stories of administrators fail is very instructive and it would be great to hear more of this. Failure is not only for teachers and students but administrators can also fail too and we would all be the wiser if we heard more about their stories of failure. Wouldn’t it be great to hear the failure stories of a superintendent? Would they ever do that? Would our system be a little more humane if they admitted failure from time to time? I think that might be a topic for another post. But listening to Jon and Derek is instructive, and I would encourage you to listen to the entire broadcast. 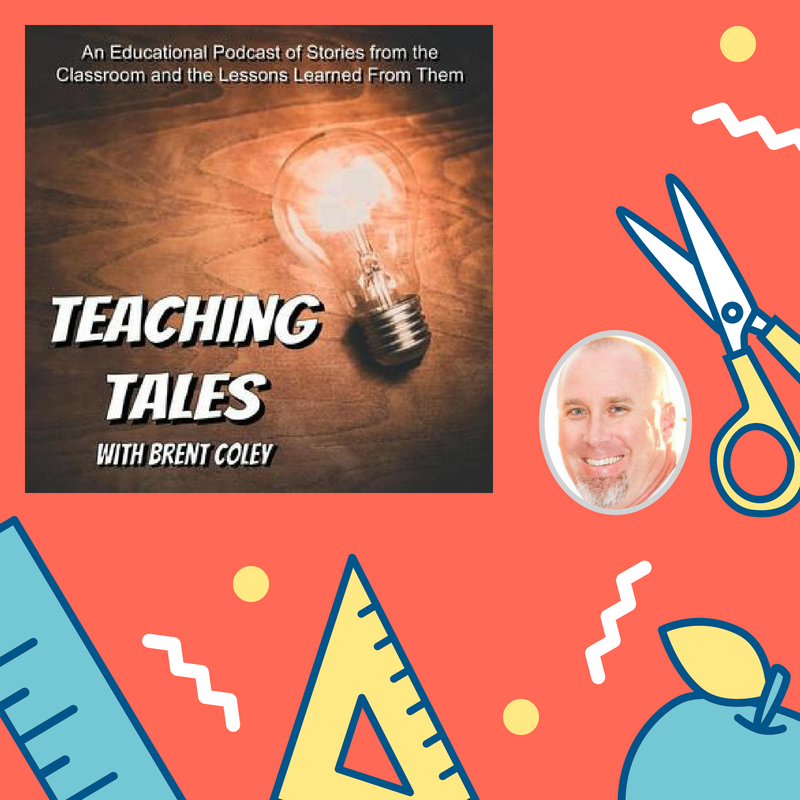 Just like Brent Coley’s podcast, Beyond The Class Room is another great conversation around the table. This makes lots of sense, Derek is someone who really enjoys connecting to others and he is a wonderful conversationalist. Taking time for conversation seems to be a lost art, but people like Derek and Jon are keeping it alive. Like Brent Coley’s broadcast, you can basically pick a clip anywhere from the podcast and it will be interesting. It is a conversation about failure and interestingly it is very empowering because they do a great job normalizing failure. Again, this is a lesson more educators need to learn, especially those in senior positions in our school boards! In this clip, Jon uses a personal story – one that we could all tell – about misjudging a situation. It is reflective and honest. Not included here is Derek’s return which is another story that fits well into the title of Jon Harper’s show My Bad. I don’t include this clip here, but Derek’s show is easy to find on VoicEd Radio and I really suggest you take a listen, especially if you are in a leadership position or want to be someday. Being a good leader means being incredibly humble. Sadly, this is not something we see very much in our leaders these days. This is all that I will write about these podcasts – go out and give them a full listen – you will learn lots! What does one expect a retired principal to say??? You just want leech our system dry and fail our student to line your colleagues (sic) pockets. We are entering into a zone in Ontario where debate and protest are again necessary to protect public education here in Ontario. Unfortunately, when you begin to advocate for a public institution, you do invite the trolls out there to take shots at you. It is incredible how quickly the debate on social media can go south when we start talking about education. I certainly will not be focussing on the negative, but it truly is a shame when people think it is OK to attack teachers for standing up for their students and parents. Every 15 years or so democracy seems to take a misstep. We elect someone whose interest in public institutions is suspect. Why do we do things like this? Why do we get tired of supporting vital public institutions? Democracies sometimes head down the wrong road and when this happens the consequences can be very destructive. In Ontario, the current government of Doug Ford is taking the beginning steps in dismantling many of the gains our education system has made in the past 15 or 20 years. For the most part, we have made these gains because the people in power believed in strong public institutions. Of course, they made lots of mistakes and they could have done more, but I don’t think you can argue that they didn’t believe in a strong public education system. The current government is having trouble figuring this one out. When I protest, I’m not standing up for my rights. I’m standing up for my students because my working conditions are their learning conditions & they deserve better than crowded classes, fewer high school options & forced e-learning. It is great to see educators fighting back – there are lots of comments like the one above on Twitter right now. Maybe we can drown out the trolls! There is an important interview you should all listen to. In it, the current Minister of Education, Lisa Thompson struggles to explain why increasing average class sizes to 28 in high school is a good thing. 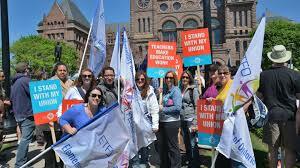 //www.cbc.ca/i/caffeine/syndicate/?mediaId=1461676099953In a follow-up article, Lisa Thompson is quoted saying that her government is committed to standing by Ontario’s teachers. I would argue it’s a little more like standing on the necks of teachers, but that’s just me. This is an important moment for education in Ontario. Increasing class size does only one thing – it reduces the number of teachers you need to employ, nothing else. Anyone who has spent time scheduling high school classes knows that and I have done lots of that. 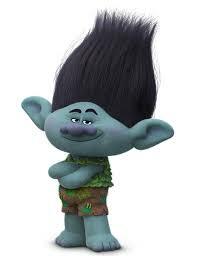 You have to expect the trolls will ooze to the surface during these debates. Lots of people have real or imagined gripes against an educator and social media gives them a voice. What is great about the current debate is that lots of educators are also taking to social media to write in support of the current system. This is really important. I don’t know if it will make any difference, but politicians should learn that they can no longer make decisions in a personal vacuum. Their decisions will be debated and in some cases protested against in the public forum. 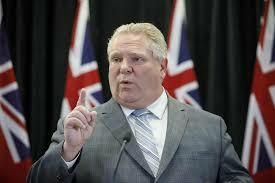 Doug Ford warning teachers not to protest his education cuts is a hollow threat. There seems to be a similarity here. This is what happens when our political leaders drag down the debate and make things personal. It gives permission to the trolls out there to do the same thing. Educators in Ontario should not allow this to happen. If you contrast this with the performance of her Republican colleagues, you can get a good example of power corrupting absolutely. Like their Liberal Party cousins here in Canada, they are displaying blind loyalty to a leader and a party that has lost the right to govern due to their abuse of power. I think we need more oversight committees and more politicians like Alexandria Ocasio-Cortez and Jodi Wilson Raybould. Speaking truth to power is a very rare commodity these days. There are more examples of the corrupting influence of power closer to home. Our premier Doug Ford has been in the news twice this week. First, it was reported that lobbyists, companies and industry groups are feeling pressure to attend a $1,250-a-person fundraiser in order to maintain access to Ford’s government “Doug Ford defends fundraising dinner amid cash-for-access criticisms“. Then there is the $50,000 bill for Doug Ford’s new van with leather-covered swivel chairs. Very nice, but is this something he really needs to be premier of the province? This is yet another interesting article to read – all published this week! Here it is “Doug Ford’s van customization has $50K price tag, documents show”. 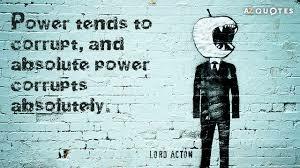 Power corrupts absolutely. Is there an educational context? I think there is. As a society, we are just not interested in making the investments necessary to ensure a safe system that is flexible enough to cater to all children. There is no reason at all that in a wealthy society like our own we can’t create a system that caters to the needs of all children. The fact that we have daily incidents of violence, especially in our elementary schools is an indication that we are not willing to make the hard choices that would allow for a more humane system. Instead, we get the shoddy of implementation of cure-all philosophies like self-regulation. We get well-meaning educators who claim that if we just trained really hard, there would be no violence in our schools because everyone would be ‘regulated’ somehow. While this is an interesting idea, school boards will never be able to make this happen. Their implementation has been way too ham-handed. The senior administrators who have played out this cure-all are happy with this self-regulation movement. They want violence in the schools to be the educator’s problem. Advocating for a whole-scale change to the education system to put all children first is not part of their game plan. It doesn’t have to be. Like all those in positions of absolute power, there is no real incentive to solve, or even look into the problems of school violence. Education commentators are no better. Because they are linked to the current ideas on self-regulation they seem to be unable to think outside the education box. The response seems to be that this is the best we can do or that this is ‘part of the solution’. What if we put the child, every child, including the autistic child first? Why are we instead contemplating a system that stops intensive treatment at a very early age then putting everything on the backs of the school system? We are inviting more violence. Is self-regulation really going to be our best tool, or are we just blurring the issue and blunting the debate about what is really needed. One school board – Halton District has reversed this trend by speaking some truth to power. This week (again – a big week!) they published a letter to Education Minister Lisa Thompson and Social Services Minister Lisa MacLeod. In the letter, the school board indicated that a lack of communication about government funding has made it challenging to ensure that these students have the resources they need. I would be surprised to hear that many other school boards are planning to write similar letters and I am sure none of the Catholic boards will do so. Power corrupts at all levels. When it comes to senior management in school boards, there is little connection to the classroom and to the current debate on violence in the classroom. While protesting against a cut in funding for treatment programs for autistic children is a necessary step, senior officials need to question why we have the problem of rising violence in our schools. The symptom is the violence, the problem is that we are doing an inadequate job at serving our most needy children. If they cannot address the problem they should get out of the way and let others try. That will never happen. They have the power and authority and power tends to corrupt and absolute power corrupts absolutely. Many years ago I travelled to the Dominican Republic with some of my students. This was easily a transformative experience for me. 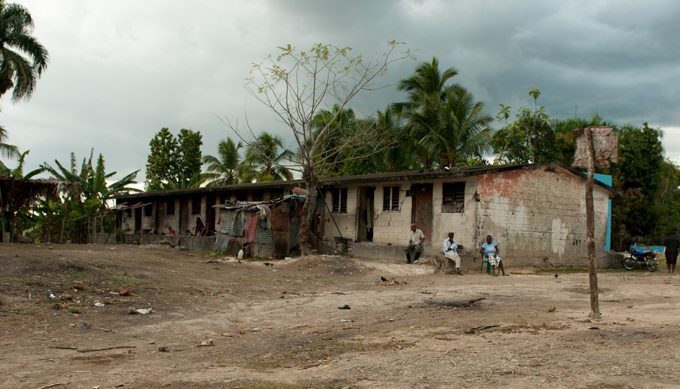 I witnessed true poverty and injustice in the streets of Dominican towns and especially in the hovels of the sugar cane plantations called bateys. Everything is wrong about how people, especially Haitians, are treated in the Dominican Republic, but there is one thing that really stuck out during my visits. One constant presence on the bateys were the evangelical churches. I bring this up here for a post on the self-regulation movement because there is a link I want to explore. The evangelicals were very popular on the bateys because their ministers did not call into question the injustice of their situation on the plantations. Their reward was elsewhere – not in protesting against the grinding poverty they suffered so we could all have cheap sugar. Here is the link. Self-regulation never calls into question a system that lends inadequate support to educators in their struggle to teach in a peaceful environment. Rather, self-regulation or mindfulness calls on the educator to transform their inner self and the inner selves of their students to create a peaceful environment in the classroom. There is no need to advocate for change because the change is within us. In the past few days, I have received a fair amount of push back for posting about the self-regulation movement. Fair enough, the conversation is a healthy one. We are gearing up for an episode of the Class Struggle podcast on this topic, but we aren’t ready yet. More conversation is needed. What I find interesting is the push back. People are writing about how self-regulation has transformed their lives and has saved their careers. People write stories about how they were able to transform a situation with a hug while other staff looked on. Statements like this make me uncomfortable. They have a certain whiff of evangelism. You just need to see the light and your classroom will be at peace. Nothing else is necessary. My former school board loves self-regulation. Why wouldn’t they? By putting it back on educators to transform their students there would no longer be a need to spend more on educational assistants. 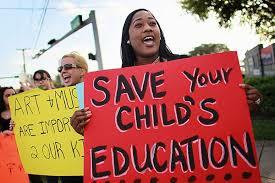 There would be no need to lobby the government to change the way we approach the education of our children. 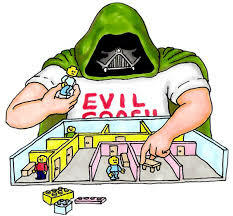 At one point, our local ‘self-regulation consultant’ came to see me to complain about a new teacher in our school. During her observations, she did not see any ‘evidence of self-regulation in the classroom.’ I think she expected me to march right in and get that fixed. To be honest, I really didn’t know what she wanted or expected. I did know that we weren’t following the new orthodoxy and that this needed to change. Nothing changed and the consultant moved on to spread more of the good news. Self-Regulation is based on Mindfulness and Mindfulness is heavily influenced by Buddhism. I think Mindfulness is really great and I have practised it for many years. It is intensely personal and takes years of practice to get good at it. From a Buddhist perspective, you never really get good at this, your whole life is spent working on getting better. Paul Bennett has written a series of articles (Teaching ‘Stressed-Out’ Kids: Why is the Self-Regulation Movement Spreading?) on self-regulation. They are worth reading. I won’t summarize his writing here, but he makes some very good points about the nature of the self-regulation movement and the approach it is taking in our schools. 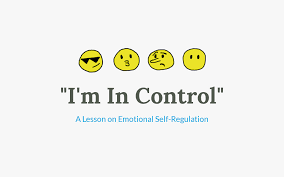 I got into this most recent debate not because I wanted to write about self-regulation. I wanted to highlight the important CBC piece on the Sunday edition about violence in schools. This became a bit of a rant about self-regulation when it was suggested that the solution to violence in schools is self-regulation. I have to push back against this idea. No one idea will save our education system. An idea based on developing a stronger sense of self puts an undue burden on the educator. There is a strong current of evangelism in the current self-regulation movement that blurs our vision when it comes to what is truly needed in our schools. Violence is tearing at the heart of our education system, we need to keep a clear focus on the problem and avoid distraction. Yesterday I happened to pick up on a story on the CBC’s The Sunday Edition. Just like the Globe and Mail and other media sources, the issue of increasing violence in the classroom was being highlighted. I retweeted the story and we listened to the episode. It is an important story. It is a frustrating one as well because no one in positions of real authority seems to be listening. What might surprise people is the fact that the problem of violence is most pronounced in elementary schools. On top of that, these incidents of violence go largely unreported. Results from ETFO’s members showed only 22 per cent of teachers said they would report cases of verbal or physical violence, and less than a quarter said steps were taken to prevent future incidents. The report continued by stating that many teachers felt that no change would take place so why bother reporting? As a former elementary administrator, I understand their reluctance to report. People at the most senior levels of school boards are not comfortable with this kind of information and they have no answers for teachers who have to deal with violence in the classroom. I am not making this up. Schools are generally on their own when it comes to violent incidents, especially at the elementary level. To complain does not do any good; you are reminded to rely on the resources you already have. These resources continue to be cut back all the time. High schools have more specialized programming and more support staff. Elementary schools have the principal, a resource teacher, and the all-important educational assistant staff. That’s all. One comment on my retweet struck me. While I respect what Lisa was saying here, her comment misses the point. I am sure the teachers talking on Sunday Morning are good teachers trying very hard to do their best. Learning about self-regulation would not change what is going on in their classrooms. I do think self-regulation is useful. It is always useful to learn about what motivates people and it is very healthy to acquire a deeper sense of self-knowledge. Most ancient religions are based on ideas of developing a deep sense of self. There is a danger with a reliance on any one system of belief and the danger here is that we are really pushing the idea that the violence in schools could somehow be solved if teachers were just a bit better trained. The problem with this approach is this – the system will never be improved by political pressure or social advocacy, therefore, change must be on the backs of educators. Nothing else will change so we need to be the change. This is why, I think, self-regulation is so popular amongst senior administrators and some consultants. We are taking an ancient idea and asking educators to become agents of personal transformation. If educators are the only agents of change there is little need to call for the resources we truly need to make our system more effective, more humane and more peaceful. Social change is hard to do and hard to understand. It is easier to give up on change and get teachers to take up the mantle. That is why I am uncomfortable about waving the flag of self-regulation in front of the angry school. I know there will be blowback against what I am writing but I want to be clear. I am an advocate for educators. I have seen the struggle they go through every day and I have dealt with my fair share of very violent incidents in elementary schools, some so dangerous that parts of our building had to be cleared to keep students and educators safe. I also understand self-regulation. I have listened to and read really good material on self-regulation and acquiring self-knowledge and have undergone my own very painful journeys to understand myself and those around me. Yes, self-regulation is important for everyone – no it will not solve the problems experienced by educators in our schools today. My point is simple – don’t put school reform on the backs of the educator. Self-regulation is simply not a panacea, it is one tool to help educators better understand themselves and their students. We are relying on this movement too much and it is crowding out the necessary conversation we need to be having on how schools can better serve students, parents and educators. Let’s focus on a system that needs to be changed, let’s broaden the conversation. I am totally caught up in the story of Jody Wilson-Raybould, the former Canadian Attorney General and Justice Minister who in recent weeks was demoted from her position in cabinet, then resigned as a Minister. 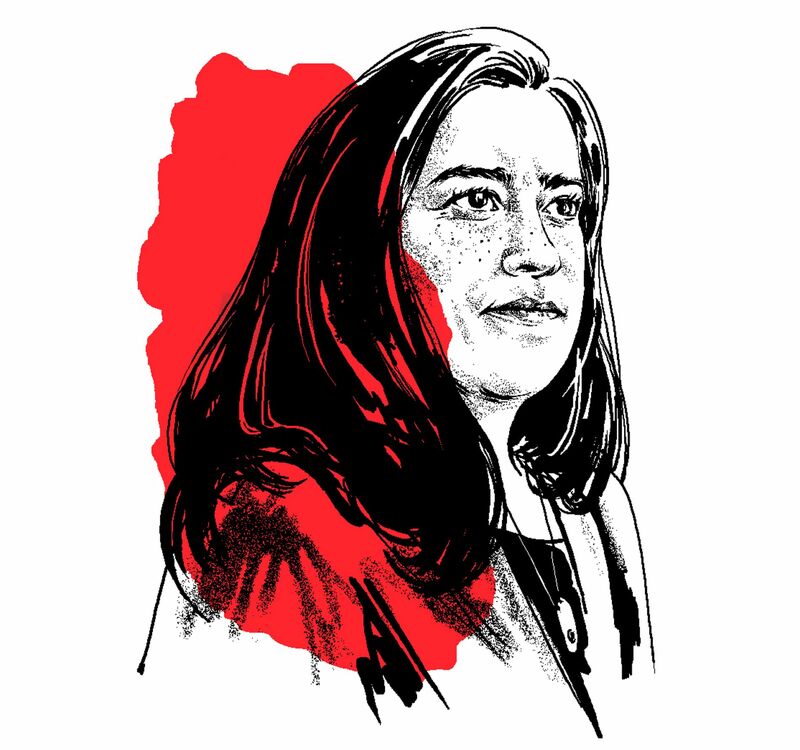 The Globe and Mail published a great story about her today – Why Jody Wilson-Raybould was destined to speak truth to power – an excellent article that really needs to be part of your reading this weekend. In the article, Jody Wilson-Raybould is called a Hiligaxste or someone who corrects the path of the powerful. In indigenous culture, the Hiligaxste was a woman who grooms men for leadership roles. In our current culture, this means speaking truth to power. This is such an important role today in our fractured society. No matter what level of governmental power one looks at, those in power continue to act with incredible impunity. In the case of the former Justice Minister, Liberal leaders, starting with Justin Trudeau have called Wilson-Raybould hard to work with. One MP even said she lost her post because she couldn’t speak French. The Prime Minister most recently stated she was moved because another minister resigned. It is always difficult to speak truth to the mighty. The attacks against Jody Wilson-Raybould are all very lame, but typical when those in power react to a strong-minded colleague who doesn’t easily back down – the Hiligaxste. More people are standing up and saying things that are way out of the comfort zone of conventional leaders. In the United States, Alexandria Ocasio-Cortez is shaking up the political order by promoting a Green New Deal. While many people do not yet know what the Green New Deal (GND) is, the very idea of reworking the economy to mitigate climate change is too radical. Those in power are now warning that because of the GND, the hamburger and ice cream are now threatened. In truth, the GND is a new policy direction that truly looks to speak truth to power and offer something new. It is encouraging to see these women defy the political hierarchy in their countries. In another hopeful sign this week in Europe, thousands of students walked out of their classrooms as part of a coordinated walkout against climate change. Chanting “Save our planet”, these students are correcting the path of the powerful. While our political leaders – at least in Ontario – are fighting efforts to establish a carbon-tax – Carbon-tax opponents don’t let facts get in the way (Globe and Mail, February 16) – students are speaking the truth that political leaders do not want to hear. This is what it means to speak truth to power – whether it has to do with the politics of power and money or the inability of governments to see the looming climate change disaster, people like Jody Wilson-Raybould, Alexandria Ocasio-Cortez, and the student protesters are certainly the Hiligaxste. For educators, what side do we want to be on? 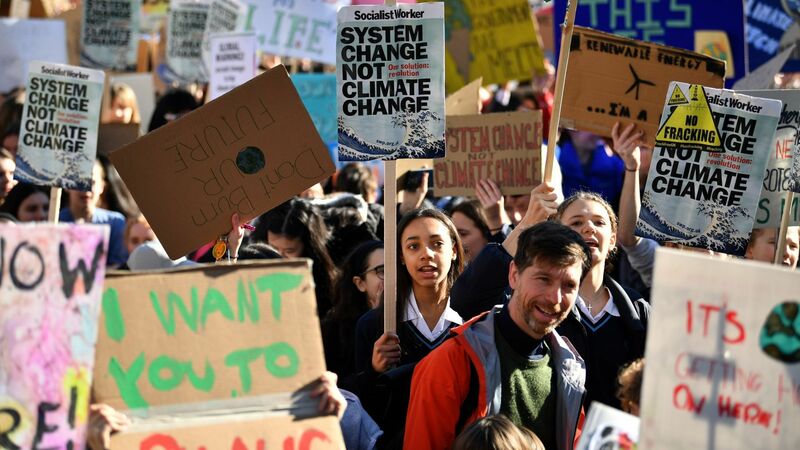 The student protests in Europe were sparked by one student, Greta Thunberg who has been protesting outside the Sweedish parliament for weeks. It has not been an easy thing to do, but she is doing what must be done to correct the path of the powerful. I am just a messenger, and yet I get all this hate. I am not saying anything new, I am just saying what scientists have repeatedly said for decades. And I agree with you, I’m too young to do this. We children shouldn’t have to do this. But since almost no one is doing anything, and our very future is at risk, we feel like we have to continue. Greta Thunberg – a Swedish schoolgirl with Asperger’s syndrome – sparked today’s action after protesting for weeks outside her country’s parliament. Greta Thunberg, Jody Wilson-Raybould, Alexandria Ocasio-Cortez – people doing the uncomfortable thing, people making the powerful uncomfortable. 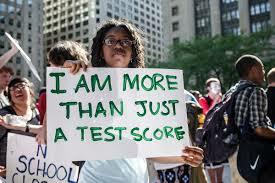 It is important that these issues get talked about in the classroom. The momentum for change can be delicate. It can be dashed on the rocks of indifference if people do not support these new leaders. It can create a world of change if everyone wakes up and joins their voices with these people. I have said this many times. Educators need to get their heads out of the sand and wake up. These people are leading important changes and they truly are challenging the status quo in their own ways. If you support them their efforts could change our world. If you don’t, why not? Public officials should not destroy what they cannot understand. Like many concerned educators, I have been following the education news in Ontario as closely as possible. It seems to me that the political leaders in our province are doing their utmost to follow the lead of the much more flamboyant political dilettante south of us when it comes to public audacity. 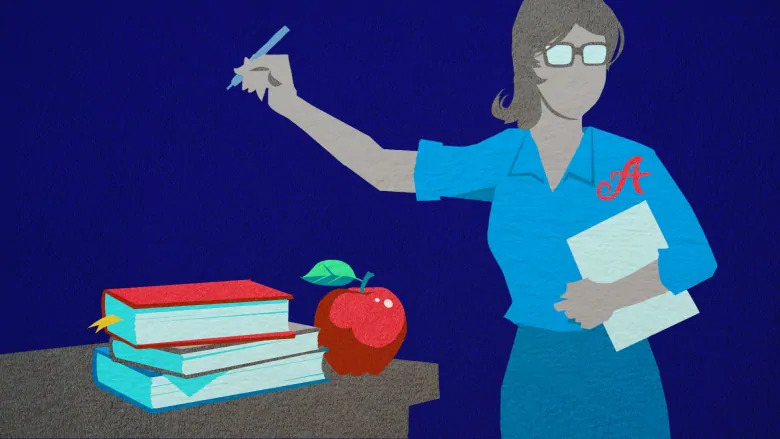 In the last few weeks, some crazy ideas about education have been floated out there. First – let’s get rid of the kindergarten cap of 29 and the hard cap of 20 in grades 1,2 and 3. As a former elementary principal, this seemed to be thoughtless and irresponsible hogwash. It was soon followed by another thought bubble – let’s see if full-day kindergarten is all that effective! Again, as an elementary principal, I have to say that FDK was easily one of the most innovative and successful education initiatives that any government has proposed over the past thirty years. Especially in my last school in a high poverty community made up of immigrants from all over the world, FDK became the great leveller. Children who did not speak any English, who had never had the opportunity to socialize with other kids were all brought together in the same classroom. It was a little hectic, but we had gifted, truly wonderful teachers and ECEs who worked hard to socialize these children. They had them all day. They made sure they got a good nap. They taught them how to play in a larger social setting, they brought them into a wider society. I can say the same about the caps in primary and kindergarten. In the most important years of education, class sizes were kept small. No school in the province could sneak in more students and save costs through larger class sizes. In the most vitally important years, a calm learning environment was given a chance. These wonderful innovations had one important thing in common – while they were great for kids and educators, they were expensive. The number one expense in education is staffing and small class sizes mean more teachers, more salaries. We have been very fortunate in Ontario. Over the past two decades, we have had some truly visionary leadership in education, inspired and guided by some of the best minds in the education world. I have been so proud to be an Ontario educator. Now, something has changed. Call it the rise of populism in Ontario or whatever you want, but the expert is now not needed or wanted. We can get rid of great policies by floating an idea out there with no consultation and absolutely no wisdom or vision. A wise person once remarked that we are experiencing the death of the expertise era. In a populist wave, public ministers are moving into positions of power with little or no experience. But they are for the ‘people’ so experience no longer matters. So, as a way to start turning things back to sober discourse on what is best for children, I am suggesting that the current Minister of Education, Lisa Thompson resign. I have nothing against this person and good for her for becoming a public servant, but she doesn’t know anything about education and she is certainly not a strong advocate for a vital public education system. She is being moulded as a hatchet person for the current premier who certainly has no love for public education. As you would expect, the Toronto Star has come out against Doug Ford as the anti-education premier – The results show education is enemy number one for Premier Ford, but there is a good point here. 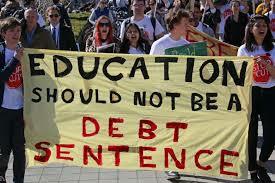 The current government is looking for the vulnerable points in our education system. What costs lots but serves a population that certainly cannot speak for themselves? Lisa Thompson really has little idea of what she is doing, but it is the job she was assigned and she is going to do it. Calling for her resignation will go nowhere, but the call does need to go out. We deserve an excellent system. Our system is excellent. Public officials should not destroy what they cannot understand. In the end, we will rebuild, but why put children through all of this? Why is it that conservative-leaning governments always feel the need to go after public education? Is it public education in particular or is it all public institutions? I really don’t know, but I have seen along with many other educators in Ontario the latest trial balloon put up by the provincial government in an effort to relieve the strain on taxpayers. 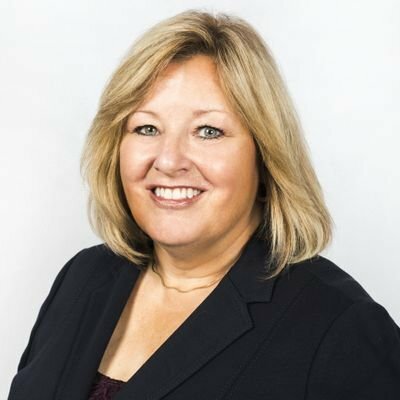 Lisa Thompson, the Minister of Education is about to start consultations on a variety of education-related issues – class size being one of them. This is what she put out today. We’ve launched consultations with education partners on many topics including class sizes. Let me be clear, no decisions have been made. We look forward to the sector sharing their experience and perspective so we can ensure tax dollars have the greatest impact in the classroom. I added in my contribution to the consultation. Not that I was asked, but I am a taxpayer too, so why not. Smaller class size for kindergarten and primary are certainly a good investment. You obviously could save money with larger class sizes, but you would be responsible for decreasing the quality of education in Ontario. Better idea – hard cap in kindergarten of 25. The not so hard cap of 29 or 30 in kindergarten did make some difference. I would argue that if we were really serious about the learning environment in kindergarten, there would be a hard cap of no more than 25. Some people, including some education writers, argue that class size does not make a difference. I don’t think these people have ever spent enough time in a primary or kindergarten classroom. These spaces can be real battlegrounds. Especially in neighbourhoods where kids have never been in group care situations, kindergarten is very challenging. Many of the children may not speak English, many have no idea how to play together and for some families, this will be their first introduction into the formal education system in Ontario. While ‘battleground’ may seem like a strong word, the world of kindergarten and primary is something really different and very special. It is not something you want to get wrong, and you certainly will not benefit from an overcrowded classroom. No caps mean you can put any number of children in a classroom. This is actually one of the key issues teachers in Los Angeles are striking about right now. No caps means you can save money on staffing, you may get a few dollars back at income tax time. If you don’t have kids in the system, you will never know the difference. An important political issue for the taxpayers of Ontario. Do we not have any primary principles in our society that stop us from making decisions that negatively impact the most vulnerable? I know we don’t, but we should. 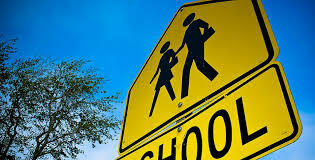 The education of our children – and very important decisions affecting our children’s education – should not be treated like other public forum decisions, like extending LCBO hours or charging for tourism signs on provincial highways. No trial balloons to the general public on an issue such as kindergarten class size. This is not about saving the taxpayer a few dollars. We must, we deserve to, have higher-quality discussions about significant issues. Bantered taunts on Twitter and angry exchanges between strangers do not constitute informed public debate. And, often that debate should be guided by well-briefed, informed leaders who have spent a day or two with this province’s future voters – the kindergartners.